« Hilo Airport Police try to block Free Speech protest of Military F-22 Raptor public tours. Published by jalbertini on November 2nd, 2018 in Military, Public Events, Social Justice, Take Action!. See Big Island Now report on F-22 Raptors in Hilo by Damon Tucker He has a 6 min interview with a Raptor pilot and several photos. I posted this comment there on his site. I appreciate Damon including our letter about Hilo airport police attempting to block our free speech rights to peaceful dissent at the F-22 Raptor public tours. His presence as a media person with a camera was very important. 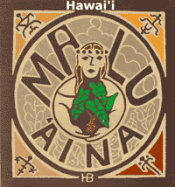 Mahalo Damen. Just 3 points on the interview with one of the pilots. The pilot said the planes were here in Hilo “TO SPREAD ALOHA.” I found that a very strange statement. Sen. Kai Kahele called these planes “the most lethal stealth aircraft.” No aloha there. Another point. The pilot said the cost of the planes was $125 million each. According to Wikipedia, the actual cost is $412 million each and the cost to fly these planes is $68,000 per hour. That’s a lot of cash that could go to human needs like feeding the hungry, housing the homeless, medical care, etc. A final point is this week across the US people are mourning mass gun violence deaths and the mailing of pipe bombs to numerous people. It seems very odd to me to host public tours in Hilo of weapons of mass destruction (WMDs) as people mourn mass killings. I think we need to ask ourselves if we are all part of glorifying violence and war and the desecration of the earth? I believe we need more genuine aloha in our world. Mahalo for considering.